ROYAUME UNI – Leicester - Archaeologists searching for the body of King Richard III under a city centre parking lot said on Wednesday they had found remains which could be those of the monarch depicted by Shakespeare as an evil, deformed, child-murdering monster. "The skeleton on initial examination appears to have suffered significant perimortem trauma, near-death trauma, to the skull which appears to be consistent, although is not certainly caused by an injury received in battle," Taylor said. "A bladed implement appears to have cleaved part of the rear of the skull." A barbed metal arrowhead was also found between vertebrae of the skeleton's upper back. Richard, who only reigned for two years, was portrayed as a power-hungry hunchback in one of William Shakespeare's most famous plays, "The Tragedy of King Richard the Third", although contemporary chroniclers suggested he was a tough soldier. Taylor said the body had spinal abnormalities, believed to be severe scoliosis, a form of spinal curvature, which would have made his right shoulder appear visibly higher than his left one, which matches contemporary accounts of Richard. However, the individual was not a hunchback. The remains will now undergo laboratory tests, including a DNA test which will take up to 12 weeks. Archaeologists have access to Richard III's DNA after swab samples were taken on Friday from a direct descendant of the king's sister, Canadian-born Michael Ibsen. TURQUIE - Kortiktepe - Researchers working at a dig at Kortiktepe in the southeastern province of Diyarbakir’s Bismil district have unearthed traces of weaving dating back 12,000 years ago, suggesting the site may have been an incubator of early textile production, according to the excavation’s head. “The bodies, bones and objects that we have examined and the textile samples on them are not prototypes. There were many weaving techniques 12,000 years ago. There are samples of various types of designs. In previous periods, the weaving was standard. 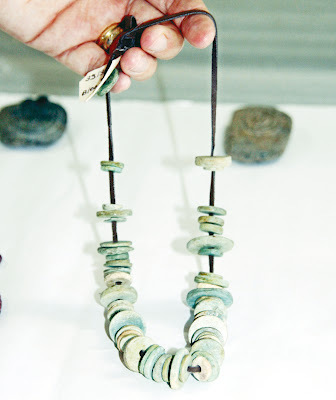 But we can see all stages of the development of weaving,” said Professor Vecihi Ozkaya, the head of the Dicle University Archaeology Department and the Kortiktepe excavation. “It is apparent that textiles were developed there.”The excavations have continued since 2000 as part of a project to rescue cultural artifacts that will be submerged once the controversial Ilisu Dam is completed, inundating a large area in Southeast Anatolia. Kortiktepe is located at the confluence of the Tigris River and the Batman Stream close to the Diyarbakir-Batman border. Ozkaya said aesthetic values were also very important in Kortiktepe, adding that the bodies of the dead, as well as pots and pans, were decorated with aesthetic designs. 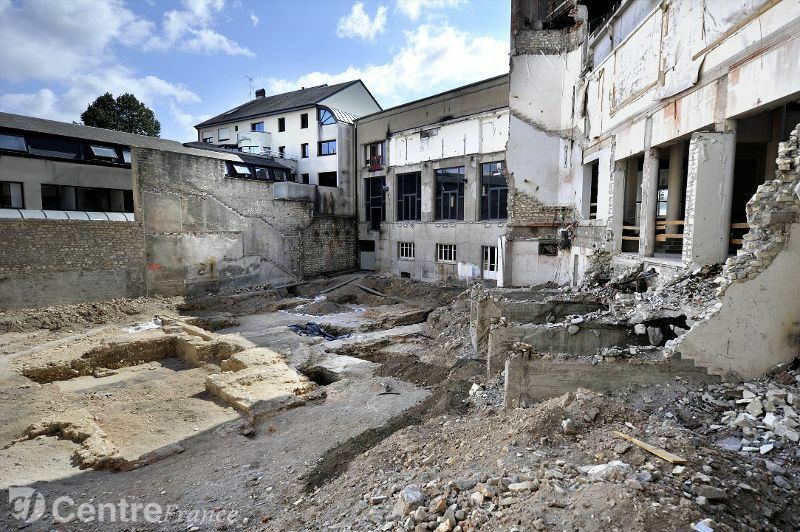 FRANCE - Bourges - Depuis la semaine dernière, le chantier de la Maison de la Culture de Bourges a pris une dimension différente. Les thermes gallo-romains et l’importance de leurs vestiges ont influé sur la suite du chantier. Comme l’a montré précédemment l’exemple d’Avaricum, Bourges fait partie des zones de présomption de prescription archéologique. « Personne ne peut dire de bonne foi que l’on découvre l’existence de ces vestiges qui ont été identifiés partiellement dans les années 1930, puis dans les années 1990. Tous les documents sur l’histoire de Bourges en font état, leur importance est connue depuis longtemps », déclare Michel Camux, préfet de la Région Centre. Comme le stipule la procédure d’archéologie préventive, un diagnostic a été donc établi. Il a été effectué par les services d’archéologie préventive de la communauté d’agglomération Bourges Plus. « La découverte est importante en termes d’état de quantité et en ce qui concerne l’état de conservation », indique Jean-Claude Van Dam, le directeur régional des affaires culturelles.